Your air conditioning system is an expensive home appliance, requiring proper maintenance and care. It is an ultimate investment in your family’s comfort and well-being. If you maintain and check your AC system on a regular basis, you will keep your unit in a great working condition and save money in the long run. However, it is best to have a reputable plumbing company servicing your AC system such as ocplumber Plumbing Heating & Air Conditioning. With over 50 years’ experience we can assure the excellent service and repair of all makes and models of AC units. Replace AC filters on a consistent basis. Depending on how many times a year you need to change your AC filter, buy a full stock in advance, so that they would be at hand when you need them. If there is a reusable filter installed in your air conditioner, follow the cleaning recommendations provided by the manufacturer exactly and timely. Replace it when necessary. Clean your AC filters – over the season the AC will collect dust and dirt, which will stay on that old and filthy AC filter and contaminate the air you and your family inhales. To make things worse in wet climates the mold will grow on dirty AC filter. That’s why it is critical to clean or change the filters in time. It will be cheaper to keep them clean than to fix them later. Clean the outside AC unit as well – clear away any leaves, dirt or debris, surrounding the outside AC unit and obstructing air flow to let it circulate freely. 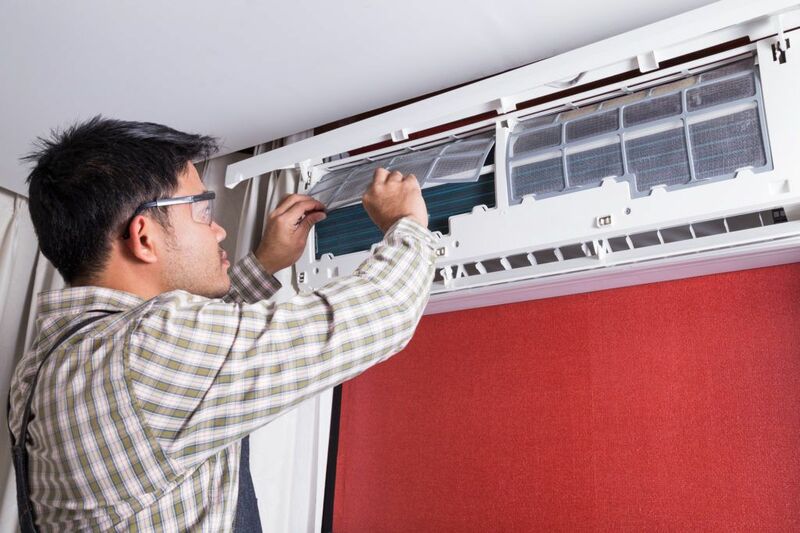 Service it – have a professional AC specialist tend to your AC unit twice a year – once at the beginning of the winter, and then again before the summer cooling season starts. He will check your unit for all the inconsistencies in its work and will clean, tune and lubricate any parts to return them to top efficiency levels. At Ocplumber Plumbing Heating & Air Conditioning our AC specialists can do the full-check up and cleaning of your AC unit and its parts. Browse through our website and find out more about the services we provide.